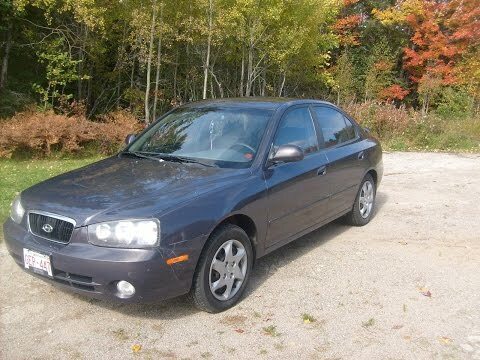 My 2002 Hyundai Elantra is reliable and has wonderful mileage. My Hyundai Elantra is very reliable. The car has ways of showing you when something is wrong under the hood before breaking down completely. I bought my car from a used car lot. The car may have been sitting for a while, so immediately I knew there were going to be a few things I would be preparing to fix first chance. I have now had my Elantra for approximately 3 months and the most I have had to repair was my alternator belt twice. The only reason I had to go replace the belt for a second time is due to it not being adjusted properly. Other than that I love my Hyundai Elantra! Baby has kept going all these years and is showing her age with some dents (some by me; some by others who didn't watch what they were doing with car doors & one by a 20+-year-old woman learning to drive who hit me in my driver's side rear panel). She's got a wonderful "uncle" who had worked on her in 2011 when I finally got her back from the ex & kept her in relatively tip-top shape. She drives a round-trip of 62 miles daily for my work until I can move closer to work. She has over $167,000 miles on her, but works pretty well for her age. My car is a 2002 With over 100,000 miles. Runs great! This car runs very well given its age. I purchased it 4 years ago from a dealership, it only had 1 previous owner. It had 80,000 miles when I bought it and now has over 100,000. Occasionally I have issues with parts that need replaced simply because it is 16 years old with high mileage. The repairs are worth it to me since I do not have a car payment. Will be looking to replace in the next couple of years though.